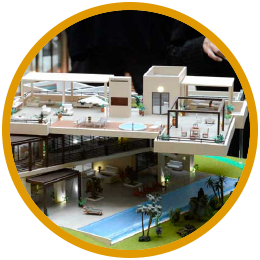 We work with the latest technology and the best model makers to be successful in the presentation of any project. 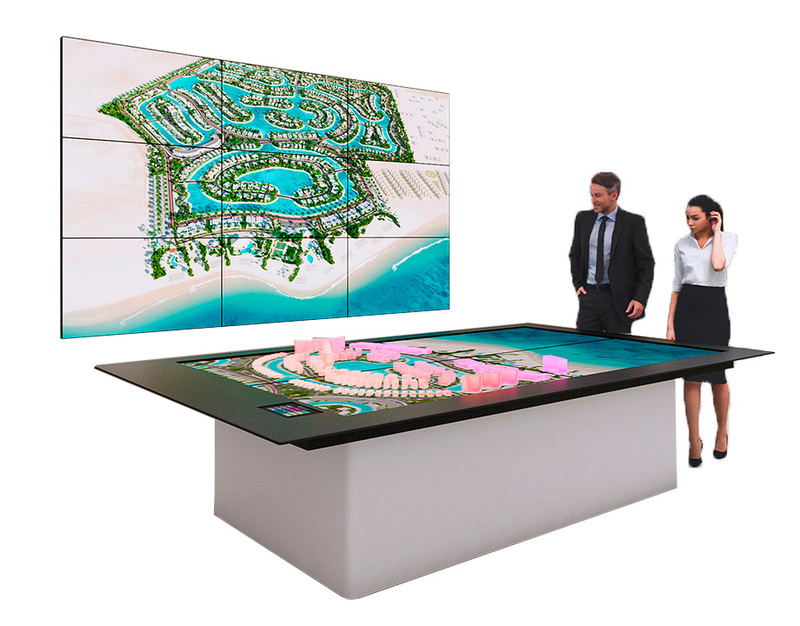 We combine the latest in virtual technology with the traditional architectural model to create an innovative model. The success of a model is measured by the quality of its details. 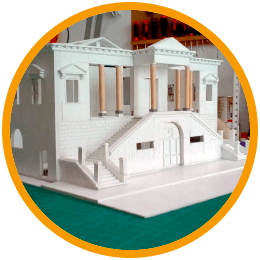 We recreated in scale and with great detail the indoor and outdoor furniture, setting and lighting; as well as the display stand. We include a remote control to control all the lights of the model. We also offer the possibility of adding light effects simulating sunlight or night light. Our model makers make all kinds of trees and plants to increase the realism level of the model. We are reproducing specialists of gardens and field areas. 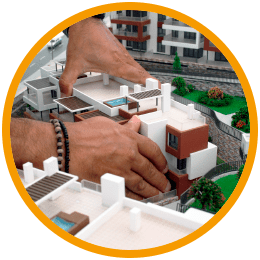 Maximum level of detail in models of golf courses and models for masterplan. A hyperrealistic finish in grass and uneven areas can only be achieved with a quality equipment. Take a look at our prices and the quality of our work – you will also receive the product without delay, with delivery guaranteed.